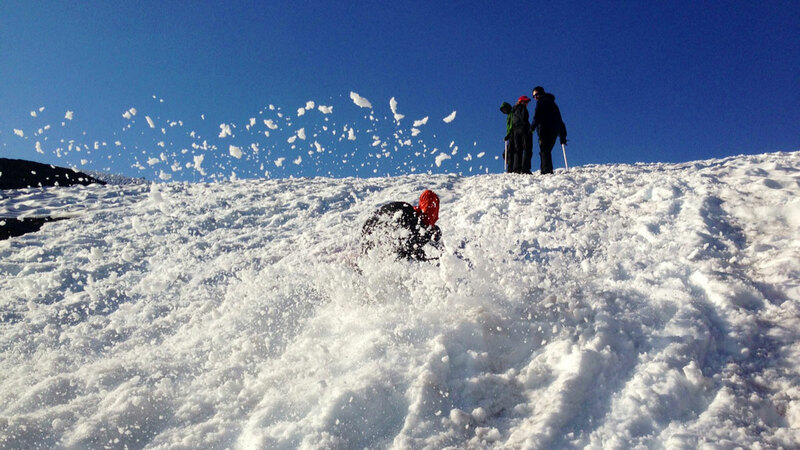 Our one-day seminar teaches basic skills essential for mountaineering. Successful completion of the course fulfills the prerequisites for our 4-Day climb of Mount Rainier via the Emmons Glacier. 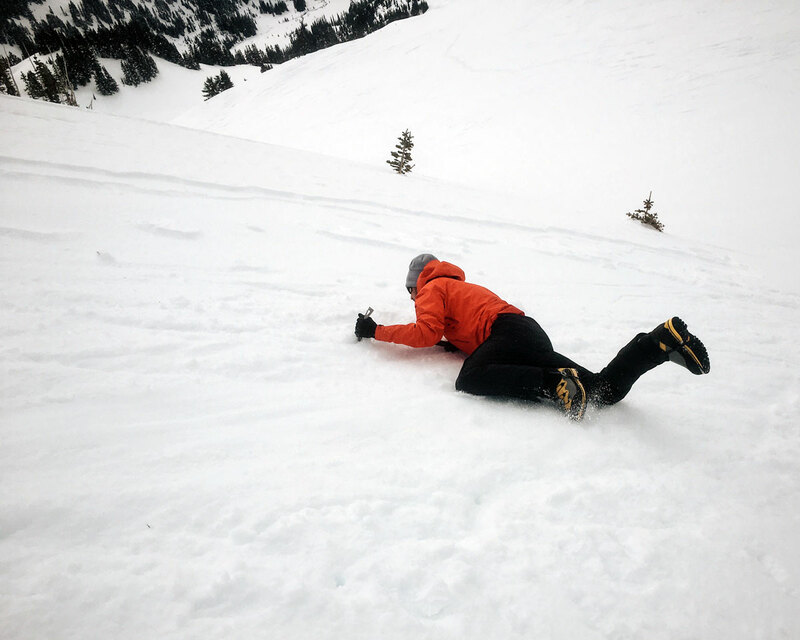 Participants can expect a full day of learning and practicing snow climbing techniques which include ascending and descending steep snow slopes, cramponing, ice axe use, and self-arrest. 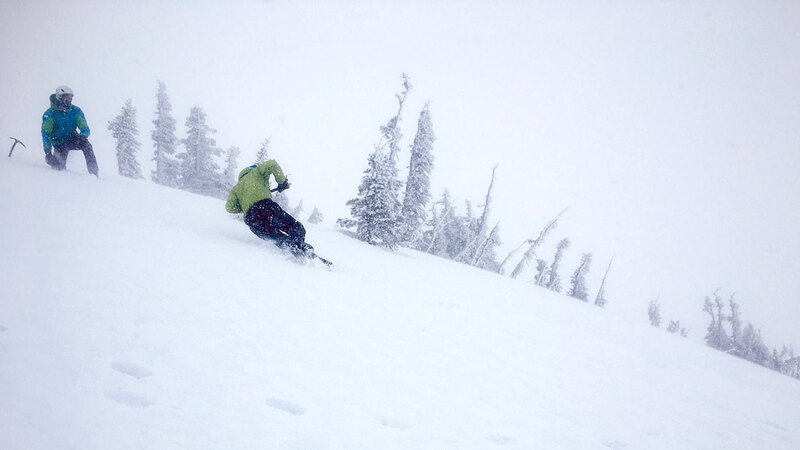 The training area will be about an hour from the Paradise Visitor Center on the beautiful lower slopes of Mt. Rainier. We’ll spend all day learning and practicing the basics of traveling on snowy and icy surfaces. We start by working on a variety of walking techniques for moving safely and efficiently over a variety of snowy slopes. Good footwork, balance and rest techniques are invaluable skills that you will use in all future mountaineering endeavors. 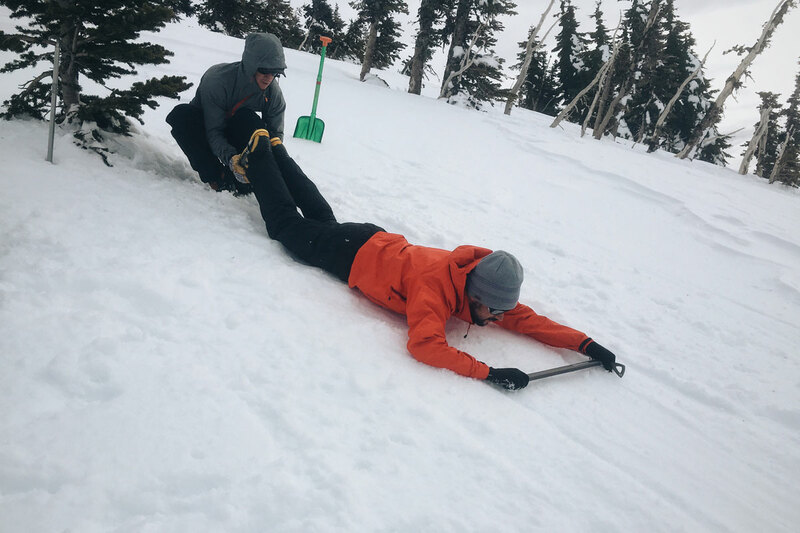 Guides then introduce the use of the ice axe and students conclude by practicing a variety of self-arrest positions. 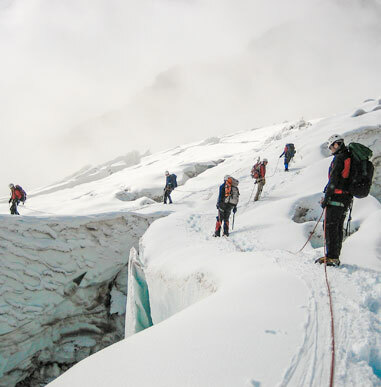 This program is ideal for novice climbers seeking to learn the fundamentals of mountaineering and gain confidence traveling on glaciers and steep snow slopes. It’s also a great course for those who have taken a prolonged break from mountaineering and would like to refresh and revisit skills before a climb. Mt. Rainier (14,410 ft), is the highest volcano and largest glaciated mountain in the contiguous U.S. This alpine giant is famous for its superior climbing as well as its pristine wilderness. The vast glaciers and alpine ridges of Mount Rainier offer challenges for novice and veteran climbers alike. Alpine Ascents provides a diversity of climbs led by renowned professional guides to accommodate climbers of all skill levels. Please note you will be mailed specific information for your climb upon registration. The following is to serve as a helpful guideline. The best way to reserve space on a Climb is to call our offices and place the deposit on a VISA/MC/AMEX. Our climbs fill quickly on a first-come, first-served basis, and registering over the phone is the best way to ensure reserving the climb dates you want. You may also submit an application by mail with a check, money order or credit card number. A mandatory gear check will take place the morning of your course at 7:00am. You are required to attend this meeting, so we can do a thorough gear check, provide packing suggestions, review the route we will be taking discuss Leave No Trace Practices and the National Park Mission Statement and answer any questions you may have regarding the climb. What to bring: Please bring your pack fully packed with all gear listed on the gear list. Rental Gear can be picked up at the gear check. Arrive in time to attend the gear check (preferably the night before the gear check in case of travel delays) and plan to depart the day after your course ends. There are variables that make it difficult to guarantee the exact time each course will end. You will need to be ready to go at 7:00am on the morning your course begins. Shuttle Express: Airport to Marqueen Hotel or downtown Seattle and return. The Shuttle Express also has regular service to downtown Seattle and can be easily found via Sea-Tac courtesy phones. Street parking is limited to 2-hour meters. There are numerous pay lots located adjacent to and across from our offices. Please be advised, overnight parking may be difficult to secure during the summer season. Please note: Free long-term parking is generally difficult in the vicinity of Alpine Ascents. If you plan to stay in Seattle and have a car, try to arrange a taxi or ride to our offices on the morning of the climb. Extra gear may be stored in our offices until your return. Please give us a call if you have any problems. Street parking is limited to 2-hour parking meters, though there are several pay lots near our offices. Where do I stay the night before and after the course ? There are several lodging options for our climbs. We meet at our office on the day of the climb at 6:00am. Alpine Ascents has partnered with our neighbors the Marqueen Hotel – located two blocks from our office. Reservations for your room should be made as soon as possible. Rates: Reasonable by Seattle standards, vary by season. If you wish to share a room with another climb participant, the Marqueen can help with those arrangements. You will need a room for the night prior to the start of your climb and for the last night of your climb. The hotels are 2 blocks from the Alpine Ascents office. Extra gear may be stored at the Mediterranean or at our office until your return. Staying elsewhere in downtown Seattle is another option. During the climbing season, hotels in the Seattle metropolis are difficult to reserve and are a bit more expensive. You may elect to stay in any one of the numerous hotels in the area, but you will be responsible for getting to our offices by 6:00am the morning of your climb. We are a short taxi cab ride away from most of the downtown hotels and local equipment shops. After the climb, we will return to our offices and you can return to your hotel by taxi at that point. You will need a room for the night prior to the start of your climb and for the last night of your climb. Please note: Free long-term parking is generally difficult in the vicinity of Alpine Ascents. If you plan to stay in Seattle and have a car, try to arrange a taxi or ride to our offices on the morning of the climb. Extra gear may be stored in our office until your return. When you sign up for a course we will send you a confirmation package that includes an equipment list detailing each piece of equipment you will need. Please read your equipment list very carefully. You are required to bring every item on the list so be as precise as possible when packing. Alpine Ascents rents quality technical equipment at reasonable rates. If you have any equipment-related questions please call us (206-378-1927). You can also email us at: Gear@AlpineAscents.com We have a full-time gear expert on staff. You will pick up your rental gear at our offices during the gear check. Pack everything in two layers of sturdy plastic. (Trash Compactor Bags work the best) Bring one large trash bag to completely and easily cover your pack. You should bring at least 4 bags. We run our own retail climbing shop and online gear store, where all Alpine Ascents climbers receive a discount and can receive personalized advice from our gear experts. The boots, packs, crampons, ice axes, tents, and other items are cleaned and checked on a daily basis. Gear is sized at the gear check and changes can be made at that time. All of our gear is of the highest quality. Please note that double plastic boots do not break in. Yes. See the training tips above, but… Keep in mind that you are climbing a mountain and it is not easy. If you follow our physical fitness tips and do some training on your own, you should complete the climb with no problems. What if I need to leave the course early? For climbers who need to be escorted from the course, there is an evacuation fee. You should be in excellent physical condition for this course. We highly recommend checking with your physician before embarking on strenuous physical activity. 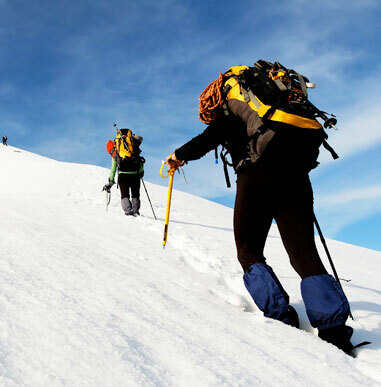 We reserve the right to turn away those climbers who we determine to be in inadequate physical condition. What kind of experience do I need to participate in this course? No previous mountaineering experience is required. This course is designed for aspiring mountaineers in excellent physical condition or as a refresher course for those with prior experience. Is food provided on my course? A boxed lunch is provided on this course. If you have any food allergies or requirements, please let us know in advance. There is a place on the application to do this. You may be asked to help carry provisions to each camp. If you have a particular favorite snack/lunch food or beverage mix, please feel free to bring it along. 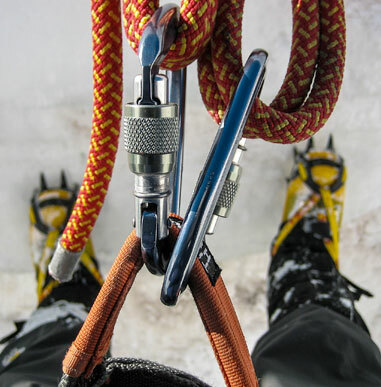 All group climbing equipment is provided on the climb. Before departing for the trailhead, we will check and organize personal/group gear. How many students/guides are there per class? This course has a maximum 5:1 climber to guide ratio. 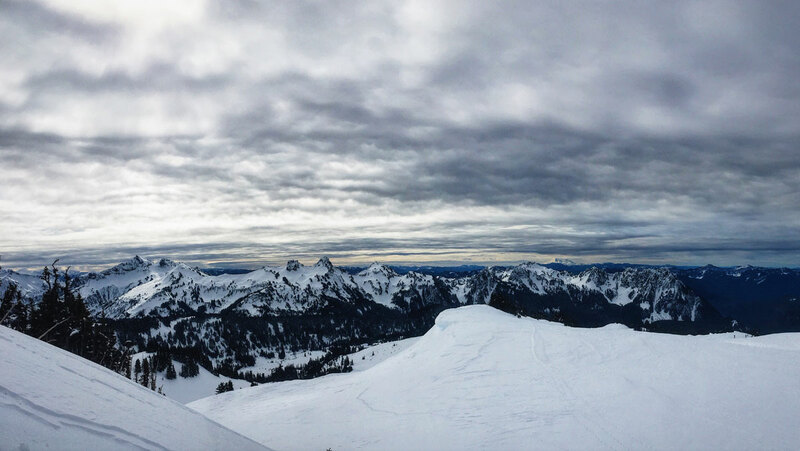 Alpine Ascents always does a great job on the mountain. 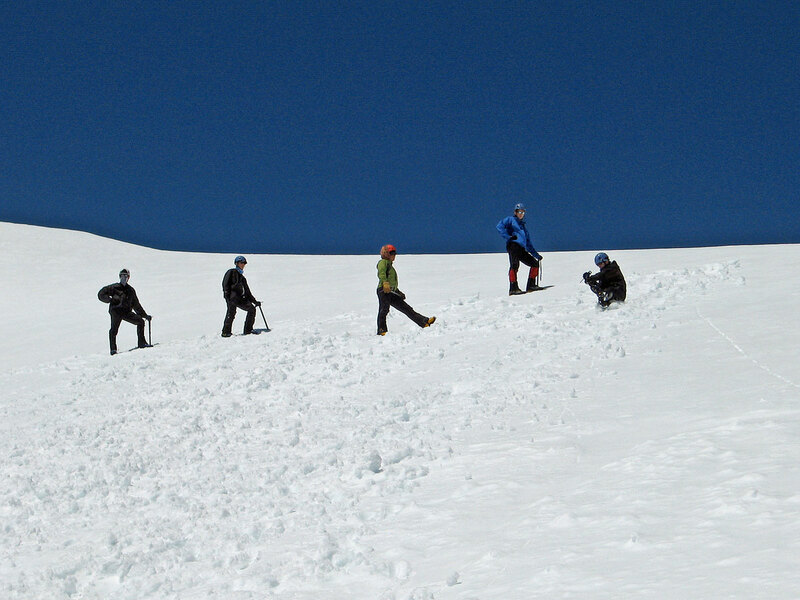 The guides are a pleasure to work with and are very experienced Rainier climbers. Alpine Ascents International is one of the best organizations on the mountain.